The Young Alumni Achievement Award is presented to an alumna or alumnus who has graduated within the past 15 years. The award recognizes outstanding achievement in at least one of the following areas: profession, career, or dedicated volunteer service to Albright, church or community. Graduating only five years ago, Caroline Vazzana ’14, is a freelance stylist, media consultant and author of the book “Making It in Manhattan: The Beginner’s Guide to Surviving & Thriving in the World of Fashion.” Caroline’s book and her website MakingManhattan.com are outlets to share her journey, career advice stories, and unique sense of style. Caroline earned her first break into the New York fashion industry through Albright internships with Anna Sui and Marie Claire magazine. She landed her first industry job with Teen Vogue just after graduation and her later work at InStyle sparked her idea for her editorial website, and eventually her book. This past fall, Caroline returned to share her story with current Albright business and fashion who plan to follow in her footsteps. The Mary Fry Good ’49 Service to Alma Mater Award is presented to an Albright alumna or alumnus for outstanding service to the college. 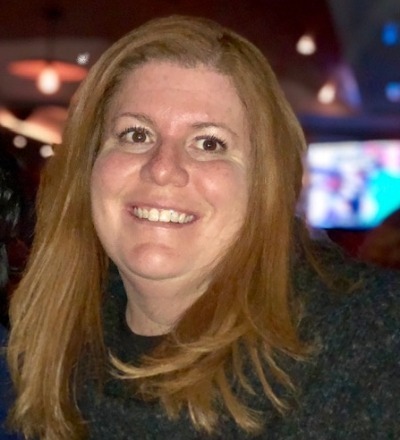 Though she lives in New Jersey where she has had an award-winning career as an English teacher, coach and high school administrator, Patricia Fitzgerald ’93 has remained just as involved with her alma mater as an alumna, as she was as a student. As a student, Patricia was involved in Greek life, athletics, academic clubs and was a Big Sister for the Big Brothers Big Sisters program. 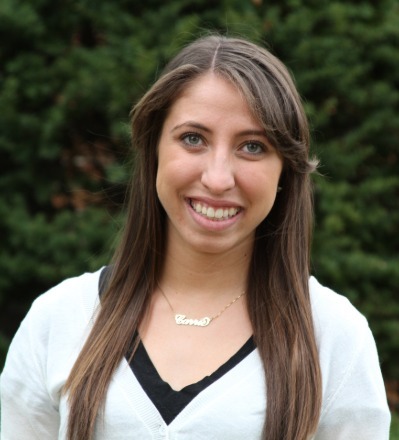 After graduating, she has represented Albright at college fairs, organized class reunions, attended move-in days and even judged homecoming floats. So in recognition of her work and leadership as a member of the Alumni Association Board, for her ever-presence at Albright Homecoming, and her Lion spirit, Albright recognizes Patricia Fitzgerald, as the second annual Mary Fry Good award winner. The Distinguished Alumni Award is presented for outstanding service and accomplishment in at least one of the following areas: community, state, nation, church, profession, academic and/or service organizations. One of the hallmarks of a liberal arts education lies in the adaptability of its graduates to continue learning over a lifetime and reinvent themselves in immeasurable ways. 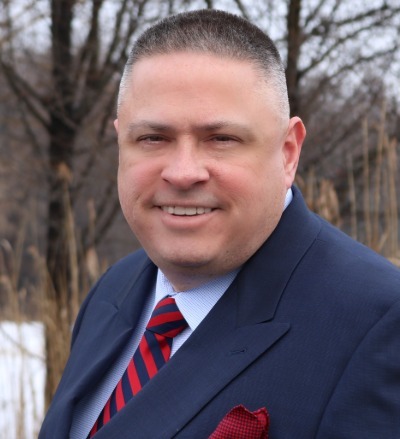 Earning two bachelor’s degrees and a Doctor of Chiropractic degree, Todd Bonsall, D.C. ’88 practiced chiropractic medicine for a dozen years before deciding to step into the field of education. And while teaching high school science at Lenape Regional High School during the day, Todd sat on the other side of the desk at night, completing a master’s degree in educational leadership. After selling his practice, Bonsall continued on an upward trend over the next 15 years, through the roles of principal, director of career and technical education and assistant superintendent. In July, he will climb again, as superintendent for the Hunterdon County Vocational School District. Bonsall has been honored by Skills USA and many others for his passionate efforts to develop high quality career and technical education programs. 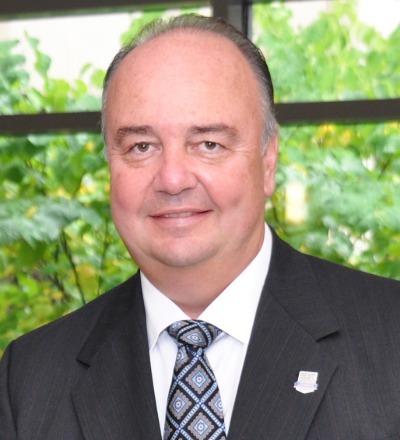 As president and CEO of the Lehigh Valley Health Network, Brian Nester, D.O. ’84 oversees the integrated healthcare delivery network of eight hospital campuses and one Children’s Hospital, 18,000 employees and an employed physician group with more than 1,200 providers. Nester’s flagship facility, Lehigh Valley Hospital, is consistently named one of the top 100 hospitals out of more than 6,200 hospitals in the nation and, announced in August, earned a top five state ranking for the second straight year. Before joining Lehigh Valley Health Network, Nester was a member of the faculty at Albert Einstein Medical Center in Philadelphia. A regular guest lecturer at the Graduate School of Business and Mailman School of Public Health for the last fifteen years, Nester helps others understand important issues related to healthcare reform, population health management, strategy and business development. He was conferred the status of Certified Physician Executive by the American College of Physician Executives in 2005, and in 2016 received an honorary degree from the Philadelphia College of Osteopathic Medicine, where he earned his Master of Science and Doctor of Osteopathy degrees after graduating from Albright. He later went on to earn a master of business administration degree from Columbia, and he continues to build his knowledge base — earning a Certificate of Professional Development in Finance from The Wharton School in Philadelphia, just this year. Although she began her career as a photography editor for In Style, Lucky and Women’s Health magazines, the life of Andrea Verdone Gorsegner ’99 took a drastic turn in 2012, when her daughter Natalie, now nine, was diagnosed with high-risk acute lymphoblastic leukemia. Twenty-eight heart-wrenching months later, Natalie was declared cancer-free. Verdone Gorsegner used her photography skills to document her daughter’s cancer journey on her Facebook page, “Infinite Love for Kids Fighting Cancer.” Photos capturing Natalie’s older sister, Hannah — smiling with pride after having shaved her head for a fundraiser for the fifth year in a row — contrasted with photos of Natalie crying while receiving difficult treatments. In 2013, while in the thick of treatment and in the process of selling her family home due to one fewer paycheck, Verdone Gorsegner launched a childhood cancer research fundraiser called the “Will You Send Us a Dollar” campaign. In five short months, the campaign more than doubled its $50,000 goal, funding multiple research grants for acute myeloid leukemia. Since then, Verdone Gorsegner has continued to be an advocate and fundraiser for pediatric cancer research and a tireless supporter of victims and their families. To date, her growing team of loyal volunteers have given over a million dollars for research. 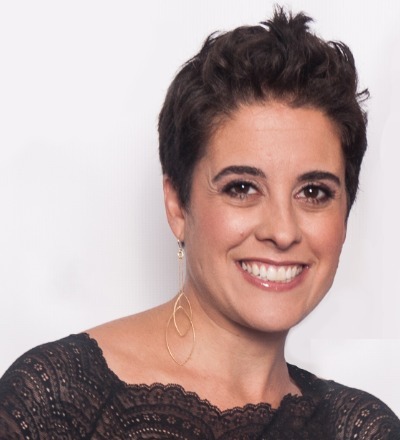 Verdone Gorsegner’s work has received a number of awards and she has appeared on the Today Show as well as being featured in publications such as Parents magazine, The New York Daily News, and Woman’s Day. She and Hannah were featured in People magazine, and working with singer/songwriter Taylor Tote, her daughters wrote a song titled “Fighter,” for which Verdone Gorsegner shot a music video. Available on iTunes, 100% of the award-winning song’s profits go towards childhood cancer research. The Jacob Albright Award is presented to alumni who have used their liberal arts education to its greatest potential, thereby making outstanding contributions to the Albright College community, their professions and society. This is the highest honor bestowed upon a graduate. This year, Albright honors the Rev. Dr. Gene W. and Vivien L. (Griesemer) Aulenbach, both members of Albright’s class of 1964. After meeting as students, Gene Aulenbach — a member of Alpha Pi Omega and a track athlete and Vivien Griesemer — a Phi Delta Sigma and Phi Mu sorority sister, tennis player and member of the 13th Street Gang, wasted no time getting married in July of 1964, shortly after walking down a different isle, for their commencement ceremony. After receiving his Albright bachelor’s degree in philosophy, Gene went on to earn a bachelor’s of divinity at Lancaster Theological Seminary, a master’s of theology at Princeton Theological Seminary, and a doctor of ministry at Lancaster Theological Seminary. Vivien, sharing her husband’s appetite for education, completed a master’s degree in library science at Drexel University after earning her bachelor’s degree in history at Albright. In returning, the pair have remained loyal and enthusiastic alumni, volunteering an impressive amount of time in support of countless alumni events and programs. Five years ago, Gene and Vivien led their class to raise over one million dollars in celebration of their 50th reunion, and they are currently working on the class of 64’s 55th reunion, for this fall. Having long ago named Albright in their will, Gene and Vivien are members of Albright’s 1856 Society. Gene is a retired senior pastor and pastor emeritus of Good Shepherd United Church of Christ in Boyertown. 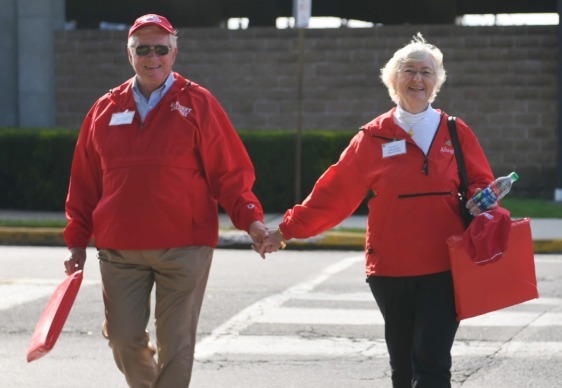 When not holding hands with his loving wife on Albright’s campus, Gene continues to serve since retiring in 2000. After spending several years assisting Lancaster Theological Seminary with capital campaigns, Gene served on St. Paul’s U.C.C.’s long range planning team, as chairman for the Pennsylvania Southeast Conference of the U.C.C.’s financial campaign, and as director at both Phoebe Berks and the Boyertown Area Community Foundation. A retired librarian, Vivien worked for several years at Thomas Ford Elementary School. In 2002, she was named the Pennsylvania Association Berks County Chapter School Retirees Volunteer of the Year. Two years later, she authored “The Importance of Reading” for Parents’ Source — a family resource guide in Berks and Lancaster counties. She has been active with the American Association of University Women, Reading Public Museum, Berks History Center, Western Berks Ambulance Association and the Rainbow Girls of Reading. Similarly, Gene has served the Children’s Home of Reading, West Reading-Wyomissing Rotary, the Torch Club of Reading, and the Pension Board of the United Church of Christ, just to name a few. Of course, Gene and Vivien have also been actively engaged in the community together, serving on several committees and boards over the years, while raising two sons and six grandchildren.